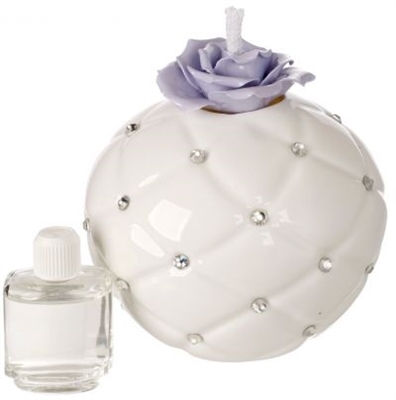 This Italian Bone China Diffuser with Swarovski Accents makes a great gift for family and friends. High quality porcelain with an elegant flower and string dip. Fragrance and gift box included.